On the global art market, Himalayan statues of religious deities fetch millions of dollars. But to the Nepalese, they are living gods who have been stolen from their communities. In this exclusive Al Jazeera investigation, 101 East senior presenter and reporter Steve Chao takes viewers on a breathtaking journey across the Himalayas, to reveal how the art world's hunger for ancient artefacts is destroying a centuries-old culture. As he seeks to expose the international black market in religious treasures, Chao travels across Nepal from its capital Kathmandu to remote and ancient Buddhist temples in Mustang. 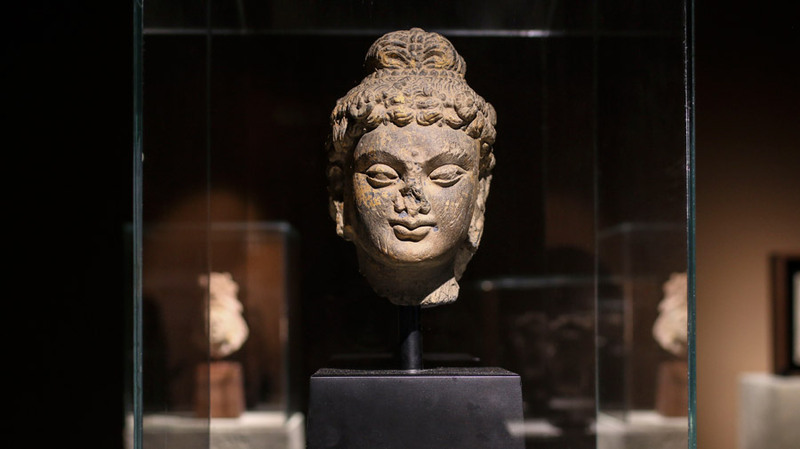 Since the 1980s, authorities estimate thieves have plundered tens of thousands of Nepalese antiquities. About 80 percent of the countries religious artefacts have been stolen and sold into the $8bn-a-year illegal black market in art. But as 101 East discovers, the Nepalese are now taking a stand and demanding a stop to the plunder of their greatest treasures. Local guide Tashi Bista says the thefts are hurting communities and their ability to worship. "When thieves look at our centuries-old statues and deities, they see millions of dollars of profit. To us, they are living, breathing gods," he says. "The thieves are destroying an ancient way of life for us." Posing as a prospective buyer, Steve Chao goes undercover to meet black market art dealers and learn how they bribe officials to falsify papers so that they can export antiques from Nepal. After showing his undercover filming to Nepalese police, Chao helps authorities conduct a sting on some of the country's most prominent antique dealers, leading to their arrests. Set against a stunning natural backdrop, this is the story of how treasures from an ancient time are being stolen and sold to the highest bidder, leaving a culture in peril. They reappraised key questions after shifts over the last two decades within the field, with presentations from an international range of leading scholars in the field. Daniel Waugh, "Searching for the 'Silk Road': How will we know that we have found it?" from PSU School of Art + Design on Vimeo. Matthew P. Canepa, “The Lord of the Seven Climes: Iran at the Center of Eurasian Exchange” from PSU School of Art + Design on Vimeo. While some scientists have suggested it resembles a Totem pole, experts insist the lower part of the Shigir Idol was not - as might be expected - dug into the ground to support it. The idol has already shattered our understanding of early ritual art by the hunter-gatherers at the end of the Ice Age, all the more so when tests revealed last year proved it to be older - it was created some 11,500 or 11,600 years ago - than previously understood. Now Dr Mikhail Zhilin, leading researcher of the Age Archeology Department in Institute of Archaeology, Russian Academy of Sciences, has told The Siberian Times: ‘Based on the the facts I can clearly say that it was not dug into the ground, like Totem poles. ’It was standing on a relatively hard, presumably stone, pedestal, because the lower part got flattened by strong pressure, and this sculpture was quite heavy. He surmised: ‘There are two options - it could be leaned against some rock or a tree. 'While we can't be sure on what the Idol depicted, we mustn't underestimate people who created it. 'They had all the necessary tools and skills, plus a rather complex view of the world which to them was populated with spirits. Not only animals or trees, even stones were animated. ‘We think it was something close to animism', Dr Zhilin said. 'We are a long way from unravelling the ancient code left by the creators of the Shigir Idol. There is nothing in the world similar to the Idol, no written data left. In 1221, in what we now call Turkmenistan, a captive held by Mongol soldiers confessed that she had swallowed her pearls in order to safeguard them. She was immediately executed and eviscerated. On finding several pearls, Chinggis Qan (Genghis Khan) ordered that they cut open every slain person on the battlefield. Pearls, valued for aesthetic, economic, religious, and political reasons, were the ultimate luxury good of the Middle Ages, and the Chingissid imperium, the largest contiguous land empire in history, was their unmatched collector, promoter, and conveyor. 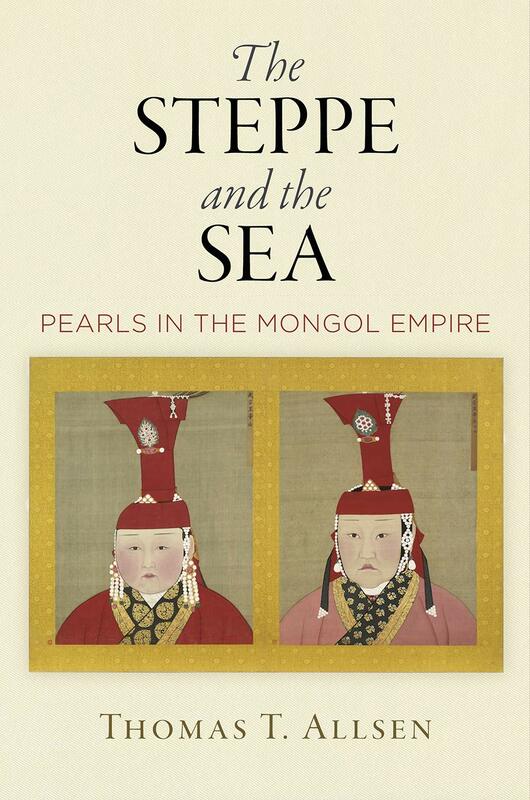 Thomas T. Allsen examines the importance of pearls, as luxury good and political investment, in the Mongolian empire—from its origin in 1206, through its unprecedented expansion, to its division and decline in 1370—in order to track the varied cultural and commercial interactions between the northern steppes and the southern seas. Focusing first on the acquisition, display, redistribution, and political significance of pearls, Allsen shows how the very act of forming such a vast nomadic empire required the massive accumulation, management, and movement of prestige goods, and how this process brought into being new regimes of consumption on a continental scale. 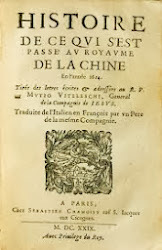 He argues that overland and seaborne trade flourished simultaneously, forming a dynamic exchange system that moved commodities from east to west and north to south, including an enormous quantity of pearls. Tracking the circulation of pearls across time, he highlights the importance of different modes of exchange—booty-taking, tributary relations, market mechanisms, and reciprocal gift-giving. He also sheds light on the ways in which Mongols' marketing strategies made use of not only myth and folklore but also maritime communications networks created by Indian-Buddhist and Muslim merchants skilled in cross-cultural commerce. 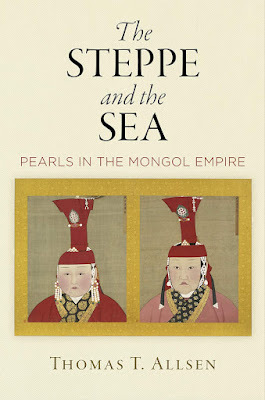 In Allsen's analysis, pearls illuminate Mongolian exceptionalism in steppe history, the interconnections between overland and seaborne trade, recurrent patterns in the employment of luxury goods in the political cultures of empires, and the consequences of such goods for local and regional economies. Roxann Prazniak is professor of history at the Robert D. Clark Honors College, University of Oregon. An era rich in artistic creations and political transformations, the Mongol period across Eurasia brought forth a new historical consciousness visible in the artistic legacy of the thirteenth and fourteenth centuries. Historicity of the present, cultivation of the secular within received cosmologies, human agency in history, and naturalism in the representation of social and organic environments all appear with consistency across diverse venues. Common themes, styles, motifs, and pigments circulated to an unprecedented extent during this era creating an equally unprecedented field of artistic exchange. 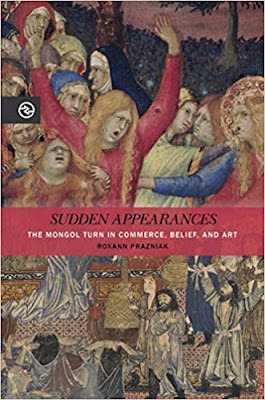 Exploring art’s relationship to the unique commercial and political circumstances of Mongol Eurasia, Sudden Appearances rethinks many art historical puzzles including the mystery of the Siyah Kalem paintings, the female cup-bearer in the Royal Drinking Scene at Alchi, and the Mongol figures who appear in a Sienese mural. Drawing on primary sources both visual and literary as well as scholarship that has only recently achieved critical mass in the areas of Mongolian studies and Eurasian histories, Roxann Prazniak orchestrates an inquiry into a critical passage in world history, a prelude to the spin-off to modernity. Sudden Appearances highlights the visual and emotional prompts that motivated innovative repurposing of existing cultural perspectives and their adjustment to expanding geographic and social worlds. While early twentieth-century scholarship searched for a catholic universalism in shared European and Chinese art motifs, this inquiry looks to the relationships among societies of central, western, and eastern Asia during the Mongol era as a core site of social and political discourse that defined a globalizing era in Eurasian artistic exchange. 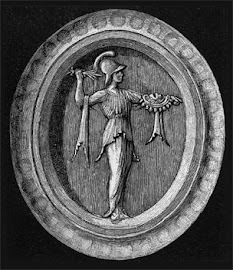 The materiality of artistic creativity, primarily access to pigments, techniques, and textiles, provides a path through the interconnected commercial and intellectual byways of the long thirteenth century. Tabriz of the Ilkhanate with its proximity to the Mediterranean and al-Hind seas and relations to the Yuan imperial center establishes the geographic and organizational hub for this study of eight interconnected cities nested in their regional domains. Avoiding the use of modern geographic markers such as China, Europe, Middle East, India, Sudden Appearances shifts analysis away from the limits of nation-state claims toward a borderless world of creative commerce. 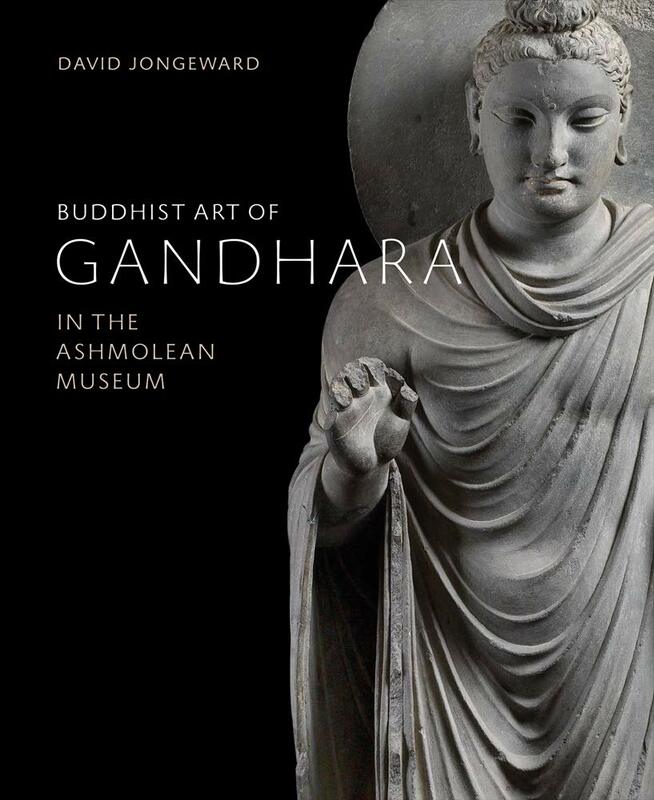 Buddhist Art of Gandhara is a scholarly catalogue of the Ashmolean Museum's important but still largely unpublished holdings of the Buddhist sculpture and related art of the historic Gandhara region (modern North West Pakistan / East Afghanistan) in the early centuries AD (c. 0-600 AD). This region was a major centre of Buddhist culture and facilitated the transmission of Buddhism and its art from India via the Silk Road to Central Asia, China and the Far East. The book contains introductory essays, with additional illustrations, suitable for the general reader as well as the specialist. Contents: General introduction; 1. Stupas and reliquaries; 2a. Life panels; 2b. Panels and fragments; 3a. Buddhas; 3b Bodhisattvas; 4. Stuccos; 5. Bronzes; 6. Deities; 7. Household objects; Bibliography, Index. 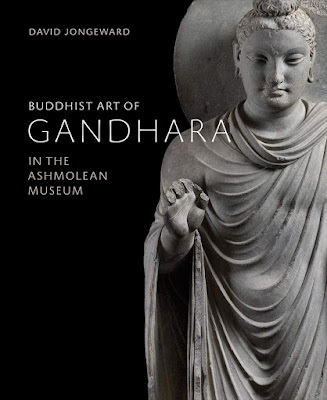 Formerly a lecturer in anthropology, David Jongeward is an acknowledged authority on the art of Gandhara. He previously catalogued the Gandhara collection of the Royal Ontario Museum (2003), and edited a major book on Gandharan reliquaries (2012). He now works as a freelance scholar, with affiliations to the University of Toronto. The 2016 Rostovtzeff Lectures were delivered by Jonathan K. Skaff (Shippensburg University). "A Slave Road? Sogdian Merchants and Foreign Slaves at Turfan,"
"Sogdians or Borderlanders?, Part I: Lives Revealed in Epitaphs,"
"Sogdians or Borderlanders?, Part II: Death Rituals Revealed in Tombs,"
"A Tang Dynasty Ally in War and Ritual: The Tomb of Pugu Yitu (635-678) in Mongolia,"
Dr. Jonathan Skaff is a Visiting Research Scholar at ISAW who will deliver the annual M.I. Rostovtzeff Lectures in Spring 2016. Skaff is a Professor of History at Shippensburg University of Pennsylvania, where he also has served as Director of International Studies. He developed a lasting fascination with Eurasian cultural connections after teaching English in Shanghai in the mid-1980s and traveling through northwest China, Pakistan, India, Nepal and Tibet. Since receiving his doctorate from the University of Michigan in 1998, his research has investigated medieval China’s frontier interactions with Inner Asia. Most prominently, his book, Sui-Tang China and its Turko-Mongol Neighbors: Culture, Power and Connections, 580-800 (Oxford University Press, 2012) revealed previously unrecognized cultural connections between China and peoples of the Eurasian steppe involving diplomacy, warfare, ideology, and political networking. A Chinese translation is forthcoming from the Social Sciences Academic Press. Skaff’s Rostovtzeff lectures, entitled Silk Roads and Steppe Roads of Medieval China: History Unearthed from Tombs, comprise four case studies that use paper documents, stone epitaphs and artifacts excavated from tombs to illuminate China’s interactions with Eurasia. “Silk Roads” is the popular name for east-west land routes—linking East, South, and West Asia and serving as conduits transmitting luxury goods, technology, religion, and artistic motifs. “Steppe Roads” is a term coined by David Christian, who defines them as north-south routes linking the Eurasian steppe’s vast pastoral grasslands with the agricultural regions to the south that facilitated exchanges of goods such as Chinese silks and Mongolian horses. The lecture series argues that the Silk and Steppe Roads were networks through which Eurasian peoples, who perceived their societies to be unique, spun overlapping and entangled webs of culture. 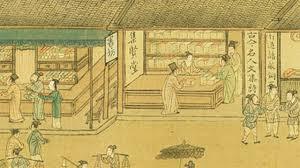 The transit hubs of Silk and Steppe Roads were particularly active sites of cultural contestation, experimentation, and mutual influence that had an impact on the historical development of China and Inner Asia. The first lecture entitled "A Slave Road? 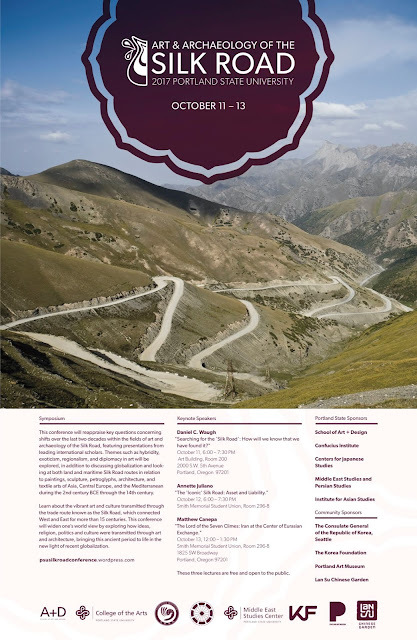 Sogdian Merchants and Foreign Slaves at Turfan" introduces the Silk Roads through a case study of Sogdians living as a minority at the Chinese oasis city of Turfan in the six and seventh centuries. The Sogdians were early inhabitants of modern Uzbekistan and Tajikistan who spoke an Iranian dialect, and began to migrate eastward by the fourth century CE to settle in cities and towns on the Silk Roads. The lecture will update Skaff's previous publications on Sogdian farmers and merchants at Turfan by considering recently-discovered paper documents and epitaphs. The second lecture “Sogdians or Borderlanders?, Part I: Lives Revealed in Epitaphs” will return to the topic of immigrants, but in this case two lineages with the same surname of Shi who settled at Guyuan in China’s Ningxia Hui Autonomous Region where the Silk Roads and Steppe Roads intersect. 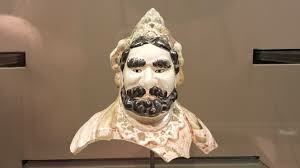 These people were locally powerful elites serving a succession of China-based dynasties as military officers, imperial bodyguards, horse breeders and translators in the sixth and seventh centuries. Their existence literally came to light when archaeologists excavated six tombs at Guyuan in the 1980s and 1990s containing burial goods and seven engraved stone epitaphs written in Chinese. A scholarly consensus has developed that both lineages had Sogdian origins, but this lecture along with the third lecture in the Rostovtzeff series will challenge and complicate this conclusion. The third lecture “Sogdians or Borderlanders?, Part II: Death Rituals Revealed in Tombs” will return to the topic of immigrants, but in this case two lineages with the same surname of Shi who settled at Guyuan in China’s Ningxia Hui Autonomous Region where the Silk Roads and Steppe Roads intersect. These people were locally powerful elites serving a succession of China-based dynasties as military officers, imperial bodyguards, horse breeders and translators in the sixth and seventh centuries. Their existence literally came to light when archaeologists excavated six tombs at Guyuan in the 1980s and 1990s containing burial goods and seven engraved stone epitaphs written in Chinese. A scholarly consensus has developed that both lineages had Sogdian origins, but this lecture along with the second lecture in the Rostovtzeff series will challenge and complicate this conclusion. The final lecture “A Tang Dynasty Ally in War and Ritual: The Tomb of Pugu Yitu (635-678) in Mongolia” takes the audience along the Steppe Roads from China to Mongolia to investigate another recently discovered tomb and epitaph. The history of Mongolia is little known between the First Türk (552–630) and Second Türk (682–742) Empires. Chinese historical records claim that the Tang Dynasty exerted suzerainty over Mongolia during the interregnum through vassal rulers, but offer few details after 660. 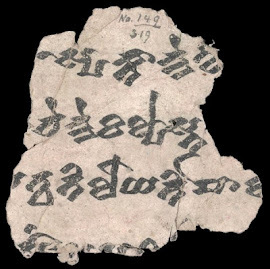 Likewise, Uighur Empire (744-840) inscriptions assert an earlier period of rule over Mongolia in alliance with the Tang. The recent excavation of Pugu Yitu’s tomb and Chinese-language epitaph shows that an alliance endured through the 670s and throws new light on cultural connections between China and Mongolia. 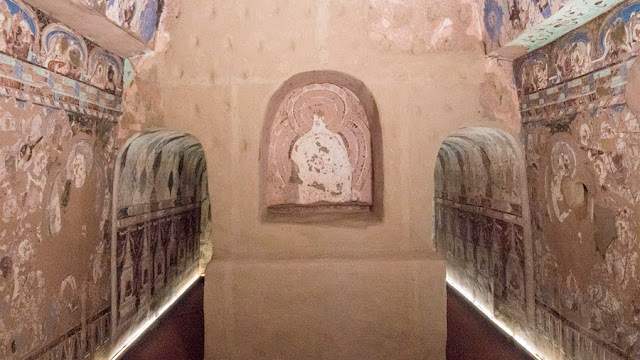 From July 14 to September 2 two exhibitions revolving around a singular theme, the Buddhist grottoes of Kizil, Xinjiang are presented at M WOODS in Beijing. A program supported by the China National Arts Fund, Collected Reproductions of the Kizil Grottoes and Overseas Murals represents a culmination of twenty years of research led by Kucha Research Institute of Xinjiang. The other exhibition shares three murals originating from the sacred caves of Kizil. The two exhibitions explore the beauty and originality of Kizil Grottoes that located at the ancient Silk Road. The Kizil Grottoes are located on the northern bank of the Muzal river, in Baicheng County, Xinjiang Uygur Autonomous Region. Known in China as one of the "Four Great Grottes" - a list including the Dunhuang Mogao Grottoes, the Yungang Grottoes, and the Longmen Grottoes, the Kizil Grottoes were registered as a UNESCO World Heritage Site in 2014. In the late nineteenth and early twentieth centuries, archaeological expeditions to the historical Western Regions of China attracted many foreign explorers. These expeditions removed the different number of murals and painted status from Kizil Grottoes. Currently, the majority of the overseas Kizil murals are in Germany, while the rest are scattered across institutions in Russia, France, Hungary, the United States, Japan and South Korea. Others belong to undocumented private collections or may be lost entirely. By collaborating with other international institutions in possession of murals from the Kizil Grottoes, the Kucha Research Institute has led an initiative to digitize every piece and bring these into a central collection in Xinjiang. The Kucha Research Institute of Xinjiang started research on the overseas collection of Kizil Grotto Murals in 1998. After twenty years of efforts, the Institute has documented 465 pieces from different museums in the world. Parts of these digital images are showing at M WOODS this summer. With the help of 3D digital scanning, researchers at the Institute have measured the murals and compared them with the pieces left in the original grottoes. Now many of their original locations have been identified. The exhibition not only presents images of the overseas murals but also replicas of two caves belonging to the Kizil Grottoes. 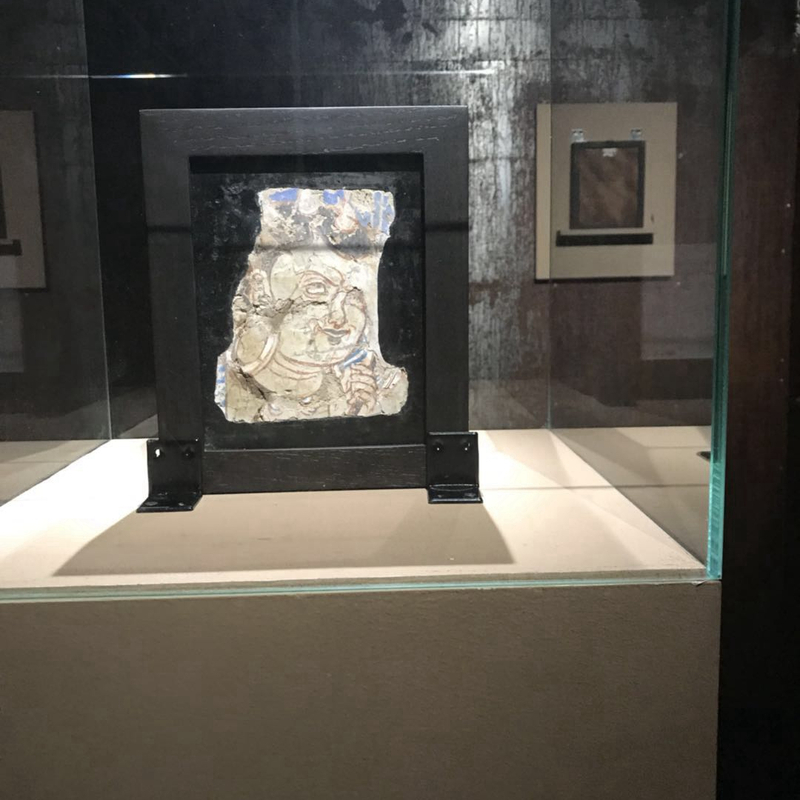 As the only public institution in the Chinese mainland to own original fragments from Kizil Grottoes, M WOODS presents these three masterpieces in this exhibition. The returned three masterpieces are Head of a Deity, Mystery Figure with Five Hair Knots and also Millennium Smile, which has significant meaning in Kizil Grotto research and cultural transmission. One of the extraordinary pieces is Millennium Smile that depicts a royal family member from Ancient Kucha. Like Mona Lisa, a coy smile brightens her face, an enigmatic glance that has captivated viewers for over a millennium. Details are shown on the mural point to a talented painter with ample knowledge of Buddhism. This marvelous piece still has the power to move people's hearts. The original grottoes were sites for self-cultivation for monks. "The creation and collection of art is yet another self-cultivation, and art is timeless. Collecting fragments from the Kizil Grottoes is also a kind of self-cultivation." Founder of M WOODS Lei Wanwan said. Why did Beijing’s M WOODS museum recently mount two simultaneous exhibitions focusing on the ancient Buddhist site of Kizil, Xinjiang Province? 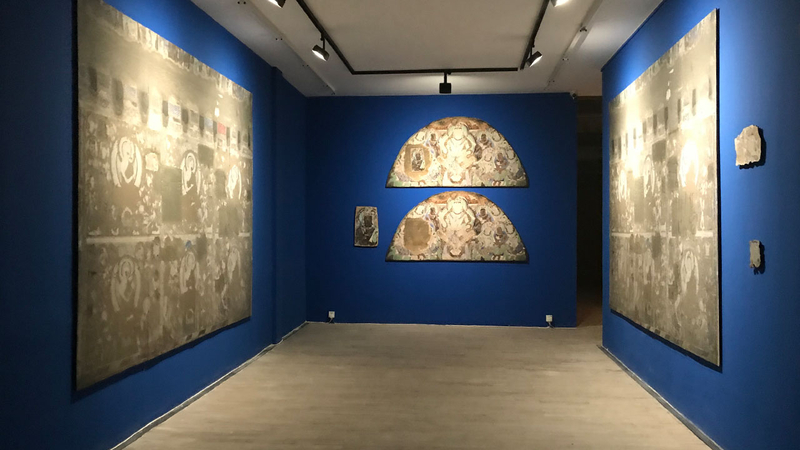 M WOODS, a private contemporary art museum based in Beijing’s 798 Art Zone, recently mounted two simultaneous exhibitions focusing on the ancient Buddhist site of Kizil, Xinjiang Province. 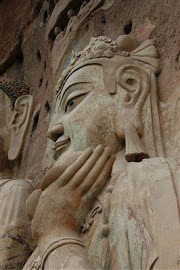 Carved from the Baicheng County hillside between the 3rd and 8th centuries, the Kizil Buddhist grottoes are China’s earliest, large-scale Buddhist cave complex, and are regularly listed as one of China’s four most significant Buddhist art sites. ‘Collected Reproductions of the Kizil Grottoes and Overseas Murals’ was produced with the Kucha Research Institute of Xinjiang, who worked for 20 years tracing the whereabouts of countless mural fragments removed by foreign archaeologists a century ago and subsequently dispersed to public and private collections around the world. The institute obtained high-quality photographs of the mural fragments and found their original placement in the Buddhist grottoes. A selection of these were then mapped onto the walls of the ground floor exhibition hall at M WOODS, recreating the murals to scale, and a 1:1 replica of grotto no. 38 was constructed within this volume, giving audiences an approximate experience of what the Buddhist caves were like in situ. On the first floor was its companion show ‘Monks and Artists’, consisting of three original mural fragments from the Kizil grottoes, acquired by M WOODS founders Lin Han and Wanwan Lei, and repatriated to China. Accompanying these original fragments are stone carvings from other civilizations along the Silk Road, and Kader Attia’s Open Your Eyes, part of his project shown originally at dOCUMENTA (13). However, M WOODS is the first and only institution in China to own original fragments from the caves. This begs the question: why did a contemporary art institution decide to devote its energies to a show of ancient religious art? M WOODS founder Lin Han has repeatedly claimed that the Kizil exhibition is as contemporary as the museum’s show of Paul McCarthy videos, mounted this past spring. Contemporary, in this context, is synonymous with ‘relevant’ – and the Kizil murals reveal much about modern China. 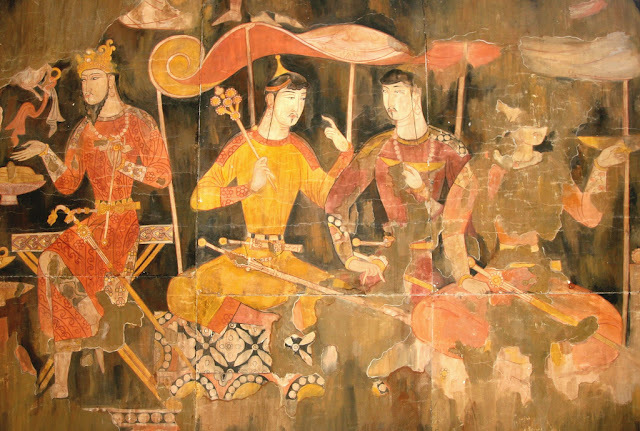 Although Kizil is well within China’s current borders, most of its murals show scarcely any Chinese influence at all, but rather Gandharan, Indian and Persian characteristics, demonstrating the incredible cultural fluidity of the Silk Road. Today, the Silk Road is being used as a blueprint for China’s massive international trade scheme, the Belt and Road Initiative, while Xinjiang, home to Kizil and much of the Silk Road, is undergoing a period of extreme religious and political tension, as the Chinese government has exerted tight control over the Uyghurs, the Muslim minority population there. Ever since the Han Dynasty (206 BCE – 220 CE), China has attached enormous strategic importance to its Western Regions, consisting of the Hexi Corridor in Gansu Province and Xinjiang, as a vital trade lifeline. Whether the area now called Xinjiang was part of the Chinese empire has always been a barometer of China’s political fortunes. The Kizil murals were painted during a Chinese power vacuum, after the collapse of the Han Dynasty and before the Tang Dynasty reasserted its influence in the region. It is precisely this lack of Chinese cultural influence that makes them so unique. Their stunning colours derive from minerals such as lapis lazuli from Afghanistan, and their inventive compositions are untethered from strict Buddhist conventions, revealing a wide range of Asian sources. The artists who created the murals were far away from their own territories, and were able to take inspiration from each other. Equally important, however, is seeing the negative historical and cultural space of this exhibition. In 1906, many of them were cut from cave walls by Albert von Le Coq, a German archaeologist, and brought to the Museum for Asian Art in Berlin; other explorers followed, and murals appeared in Russia, Japan and the US. The removal and dispersal of the murals runs reverse to the globalization that once brought wealth to Xinjiang. Foreign powers found little resistance when they plundered Chinese cultural heritage during the turbulent years of the early 20th century. The feeling of loss this history brings is compounded by the reconstructed grotto at M WOODS, marked by the scars of excavation. The sculpture of a Buddha figure is missing from its niche, leaving behind a white shadow. The contradictions of the Kizil murals makes their exhibition at M WOODS and the 20 years of study conducted by the Kucha Research Institute of Xinjiang all the more essential. Xinjiang itself is a place of contradiction and conflict, and understanding its present requires a deeper knowledge of its past. 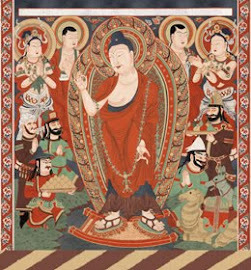 ‘Monks and Artists’ and ‘Collected Reproductions of the Kizil Grottoes and Overseas Murals’ ran at M WOODS, Beijing, from 14 July – 2 September 2, 2018. Colin Siyuan Chinnery is an artist and curator based in Beijing, China. He is a contributing editor of frieze.